Barbara Davis was a very active member of our chapter, teaching a program on temari balls and always helping and encouraging her fellow stitchers. Sadly, she passed away in 2013 after a fierce battle with cancer. 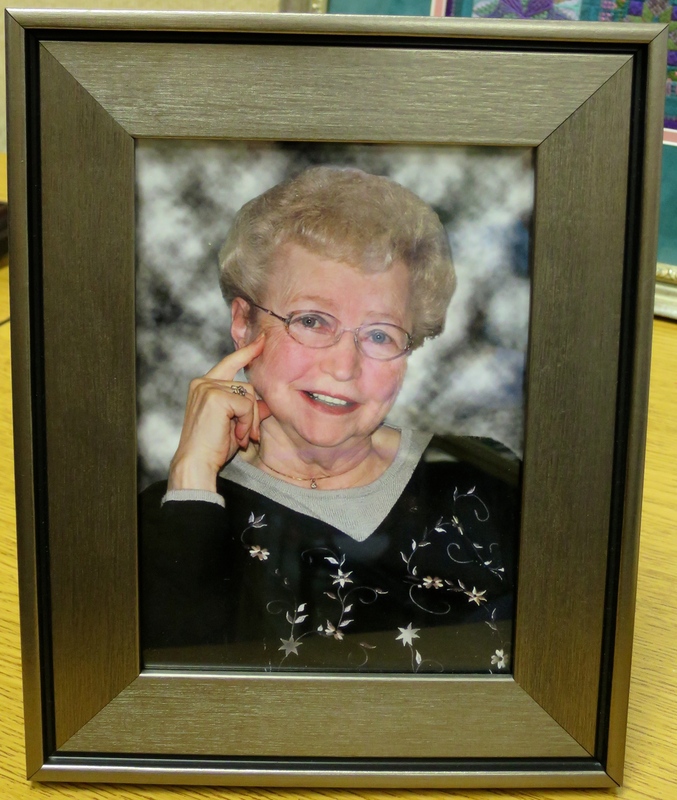 The following year, NJNA wanted to do something to honor Barbara. We contacted her husband who said that the family would most appreciate a piece stitched as a round robin by the chapter. The chapter wanted the piece to be something that honored the Barbara we knew – a gifted stitcher, lover of beautiful color and symmetry, giving artist. But we also wanted to capture some qualities we learned from her family and non-stitcher friends such as a love of gardening and a dedication to organization. So we decided on an English Garden theme which seemed to combine most of theses attributes. Ten chapter members signed up to stitch various parts of the garden. 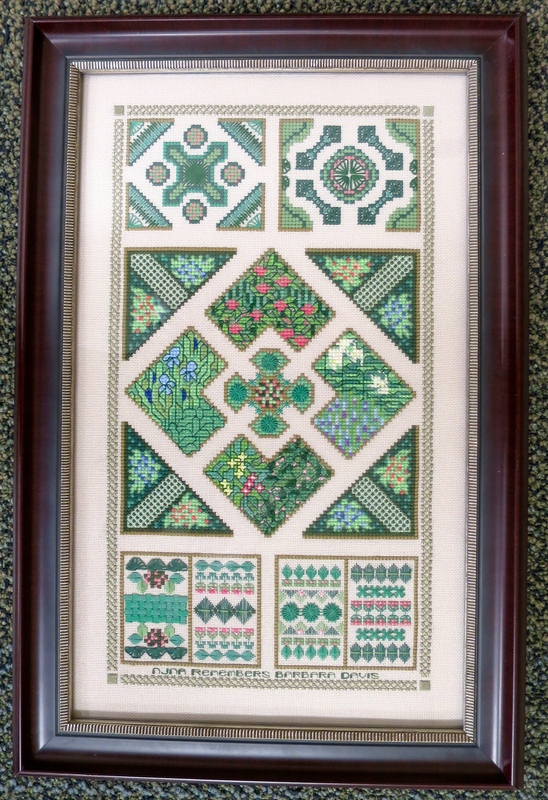 Once it was framed, we arranged to present it to Barbara’s husband at our chapter meeting on May 20, 2015. He was joined by their 3 sons, a daughter-in-law and 3 of 6 grandsons. It was wonderful to share some of Barbara’s favorite pieces (including temari balls) as well as fond memories. 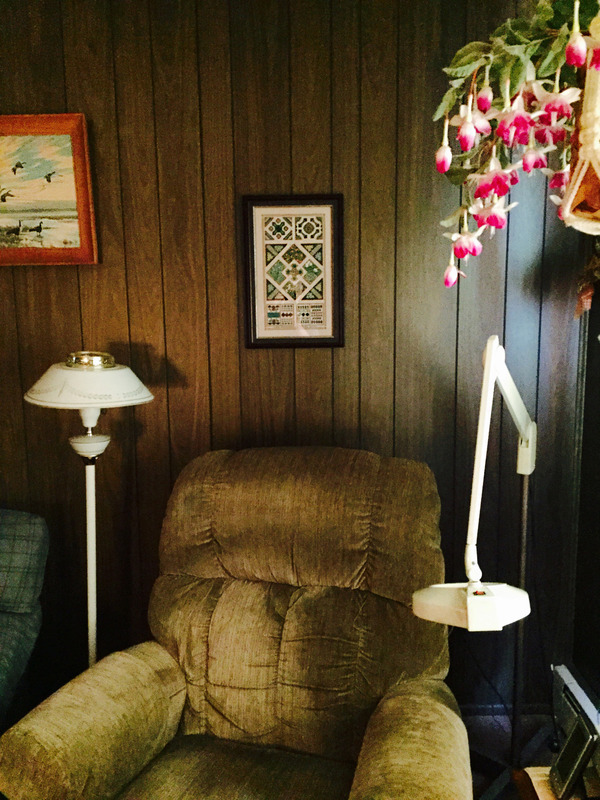 The NJNA English Garden now hangs in Barbara’s favorite stitching corner.